The two candidates running for Aspen’s mayoral seat are in full stumping mode as the runoff election will be decided Tuesday night. 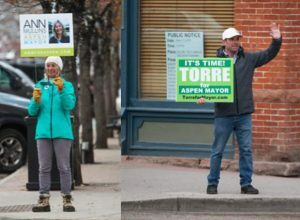 Candidates Torre and Ann Mullins have been trying to differentiate themselves ever since they became the top two vote-getters in the March 5 municipal election. But because they failed to get 50 percent of the vote, plus one — as the city’s home rule charter calls for — they are headed into Tuesday’s runoff. They shared their final thoughts as their campaigns wind down as to why they should be mayor. For Torre, it’s about getting things done. He said he can lead the city to deliver more workforce housing and affordable child care, among other things, to the community. Mullins said in a prepared statement that she has better ideas than her opponent. “We need a mayor who has workable, constructive solutions to our problems; a mayor who can immediately address the issues that are in front of us with collaborative, well-founded solutions not ill-considered ideas that are detrimental to the environment and make existing problems worse,” she wrote. In March, mayoral candidate Adam Frisch came in third place with 838 votes and Cale Mitchell, 83, in fourth place. Mullins and Torre have been trying to capture the support of those voters who went for Frisch and Mitchell to garner enough votes to win Tuesday. 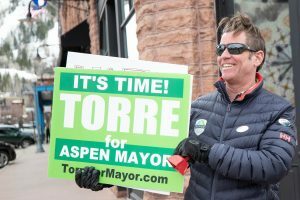 Torre, a former two-term Aspen city councilman who is in his sixth mayoral bid, won over Mullins in the March 5 election by 341 votes (1,281 to 940). Mullins is in the middle of serving her second term as a council member. If Mullins wins the mayor’s seat, she will surrender her council seat, which has two years left on the term. 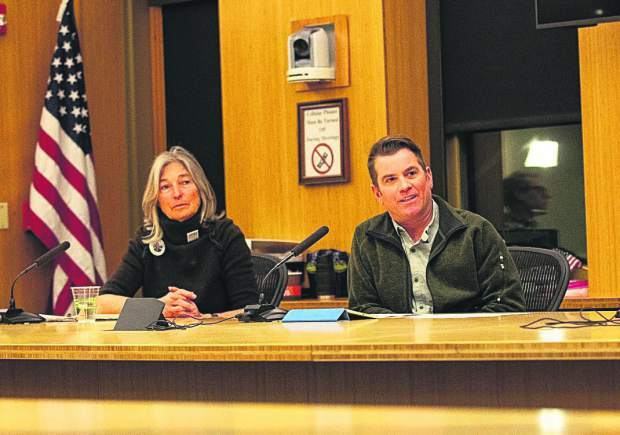 Either the council will appoint someone, or another election will occur to fill her vacancy. That decision will be up to a new council that will be sworn in June 10. In the March election, Rachel Richards and Skippy Mesirow won council seats. Voter turnout was at an all-time high with 3,200 people voting in the March election. Some observers speculate that the reason for that is the election date was changed from May to March, and the runoff from June to April. Others believe the Lift One corridor ballot question, which will see a new chairlift at the base of Aspen Mountain’s west side and 320,000 square feet of commercial space, drew more people to the polls. Turnouts for runoff elections in the city historically show between a 20 percent and 25 percent drop. In the June 2017 runoff in which Torre lost to Ward Hauenstein for a council seat, 1,840 people came to the polls. As of Friday afternoon nearly 1,600 ballots had been cast for this runoff, according to City Clerk Linda Manning. 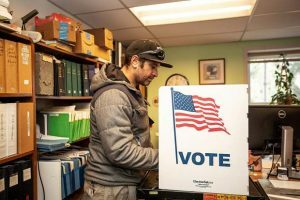 There are roughly 6,000 registered voters in Aspen. 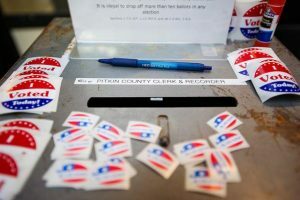 Ballots, which arrived in voters’ mailboxes earlier this month, should be walked into City Hall instead of mailed to ensure that they are counted by 7 p.m. Tuesday, Manning added. The City Clerk’s office is open from 8 a.m. to 5 p.m. on the second floor of City Hall. If people choose to vote on Election Day, they are asked to vote in person rather than drop off their ballots, which take longer to process because election judges have to go through more verification steps.